How to, Mark V vs Mark 7 vs Mark VII, Personal woodworking stories, Why we like owning a Shopsmith. Wow! I am getting back on my feet after my little tussle with leukemia (in full remission, thanks for asking). I am spending more time in my shop and making videos again. I also want to get this blog going again, relook at Facebook, Twitter, Google+, etc. Shopsmith still wants me to do a video series they will offer on their website, and I think I will enjoy that. If anyone has suggestions for video topics, let me know and I will discuss with Shopsmith. 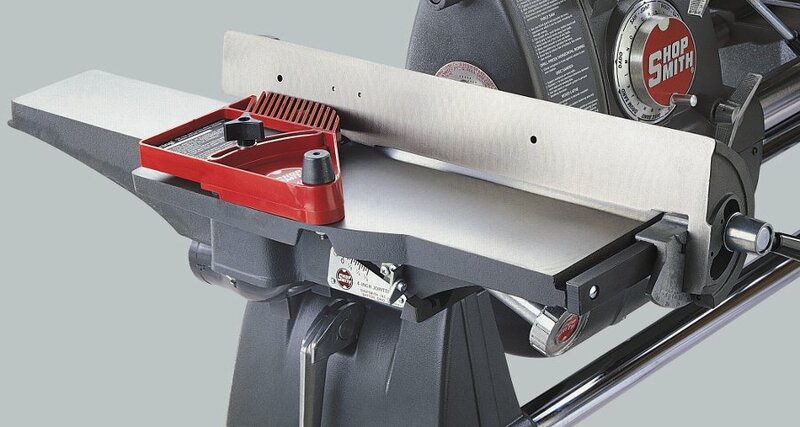 A Twisted Tale, or Why a 4″ Jointer Works for Me. Many years ago as a novice and unread woodworker, I decided to make a dining room table. I had some tools, some wood, and a lot of confidence. Until… about four months later, when my wife asked if the table was supposed to curve. Curve? The top had curved and cupped so badly that I could have spilled an entire pot of coffee on the top, with none ever hitting the floor. I turned the table upside down, put about 300 lbs. of weight on it and glued 2×4 on edge underneath the top. I clamped it securely, waited a couple of days and voila, problem solved. About 4 months later, in the middle of the night, I was awakened by a loud “crack”! The table top had, in an instant, loudly, recupped. I first assumed that the 2x4s had broken at the glue joints. No. THE FORCE OF THE WIDE BOARDS RECUPPING bent the 2x4s ON EDGE! The sound was the top boards splitting. I still have the table, and it is still spill proof. I have since learned some basic, but important lessons: 1) If wood wants to move, it probably will. 2) Flipping boards one grain up, one grain down, only results in a corrugated board. 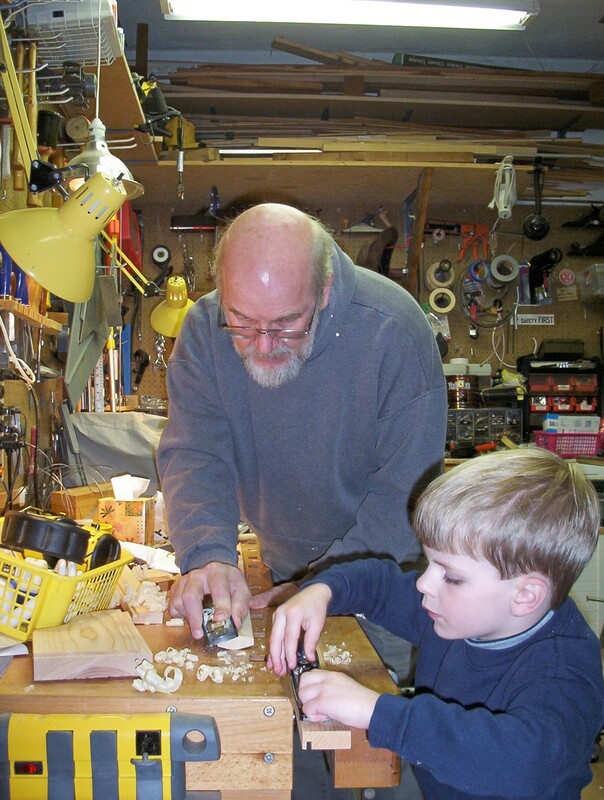 3) No amount of gluing and clamping will force the board flat for very long. And, 4) If I don’t take the time to do it right, I will spend much more time later doing it over. And this is why a the Shopsmith 4″ jointer works for me. The best way I have found to keep wide boards from splitting and cupping and twisting, when edge gluing, is to rip them down to about 3 1/2″, then flatten, plane, edge join, and glue back together. If done carefully, the joints will be nearly invisible, and the project will be flat and straight 100 years from now.